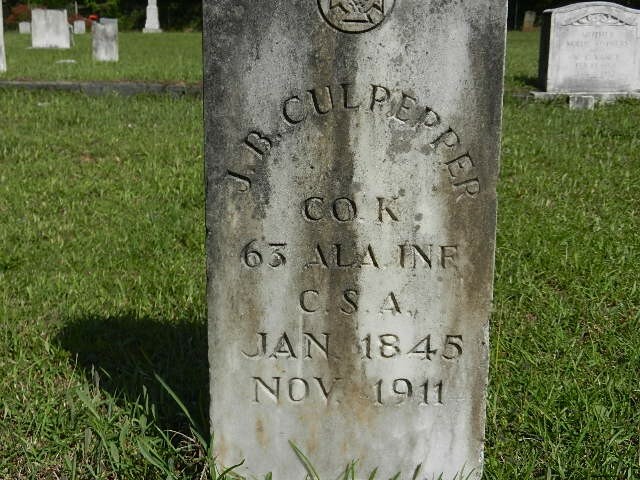 My great great grandfather Joel Bluett Culpepper was born in 1845 in Clark County, MS and died 11 Nov 1911 at Beauvoir Confederate Soldiers home in Biloxi, MS. 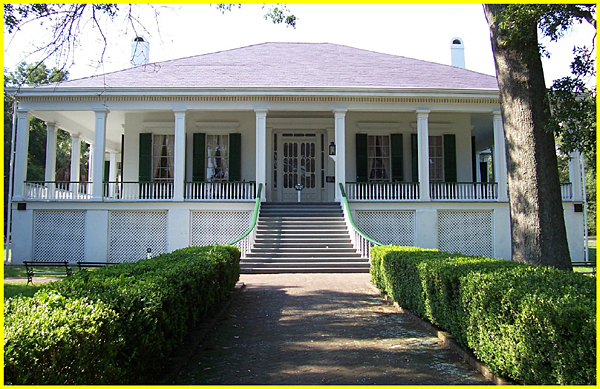 If you’re not familiar with Beauvoir, it was the home of Confederate President Jefferson Davis, and following the Civil War, it was turned into a home for Confederate veterans. It is now a historical site and I have sat on that porch many, many times. The first photo is pre-hurricane Katrina. 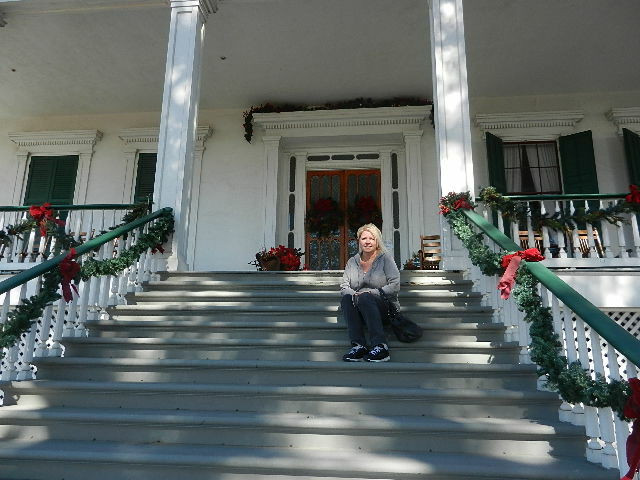 The second is me on the rebuilt front steps in December 2012. Joel was born to Rev. Joseph M Culpepper and Nancy Yarbrough along with 3 brothers and 2 sisters. His paternal grandparents were Simeon Culpepper and Elizabeth Bluett. That’s where his middle name came from. It’s an old southern tradition to give maiden names of mothers and grandmothers to son and grandsons. 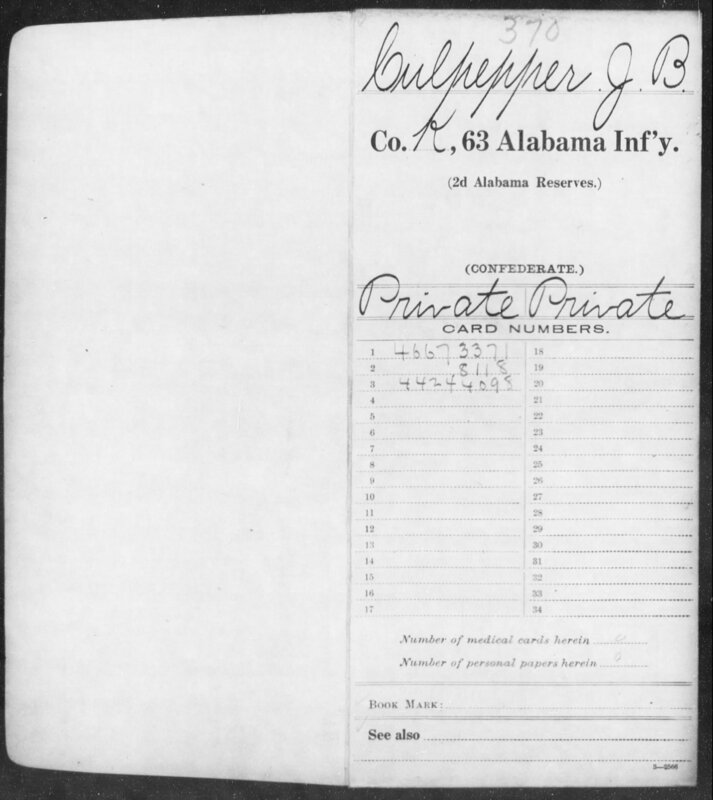 Joel signed up for the 63rd Alabama Infantry Co K, stating that his residence was in Choctaw Co, Alabama. His brother Benjamin signed up for the 40th Alabama Infantry Co C. I have no idea why the boys signed up in Alabama or if they were actually living there at the time. The answer may lie in their father. Their father, the Rev Joseph M, signed up for the 37th Mississippi Infantry on April 11, 1862 and died on August 15th of the same year in a battle at Columbus, Mississippi. Joel was only 17 at the time and Benjamin was 18. They may have been sent to Alabama to live with relatives following their father’s death and signed up for the cause to honor him. The enrollment date on Benjamin’s war documents is October 1863 in Sumter County, Alabama, but the date is not visible on Joel’s document, but it was definitely before Benjamin signed up. 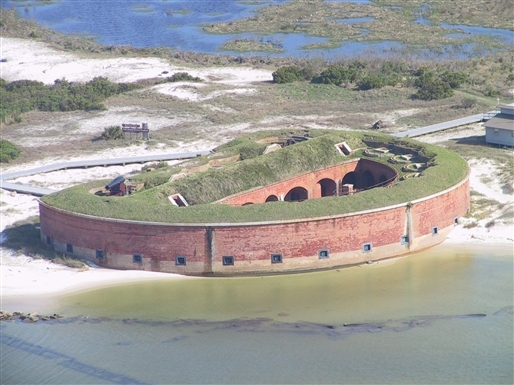 Prior to Benjamin signing up, on April 9, 1863, Joel was captured by Federal Forces and held prisoner at Fort Massachusetts on Ship Island until the end of the war. He was an 18-yr-old boy. In 1870, Joel married Mary E “Mollie” McFarland and they had six children, one of them being my great grandfather William Samuel “Sam” Culpepper who married Annie Josephine Blanks. 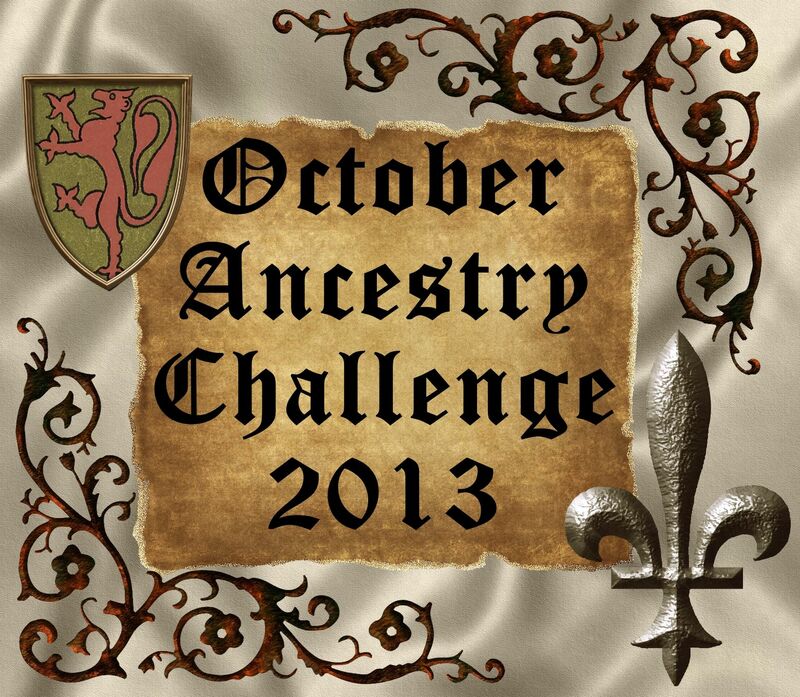 I wrote about her in my Ancestor #1 blog. Mollie died in 1908, and Joel moved in with his daughter for a time until it was decided he would enter Beauvoir under his rights as a Confederate soldier. 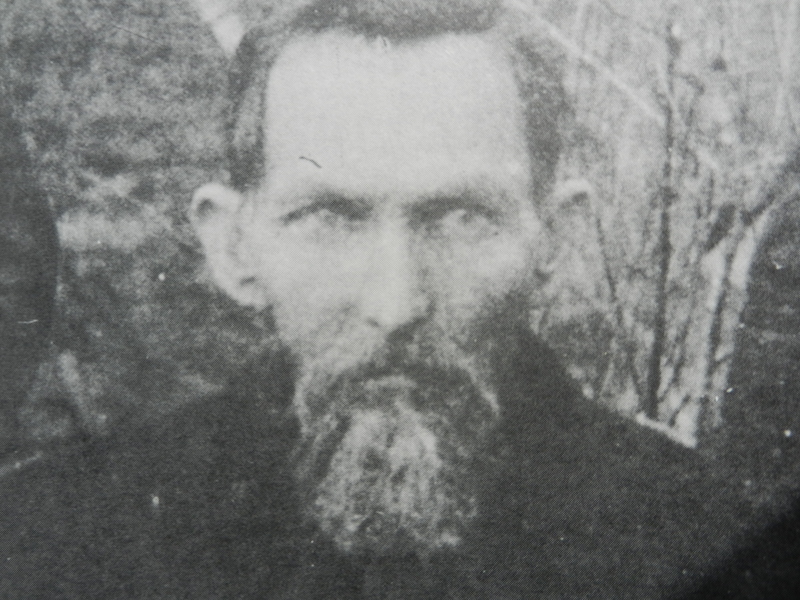 He lived there for 10 months preceding his death. 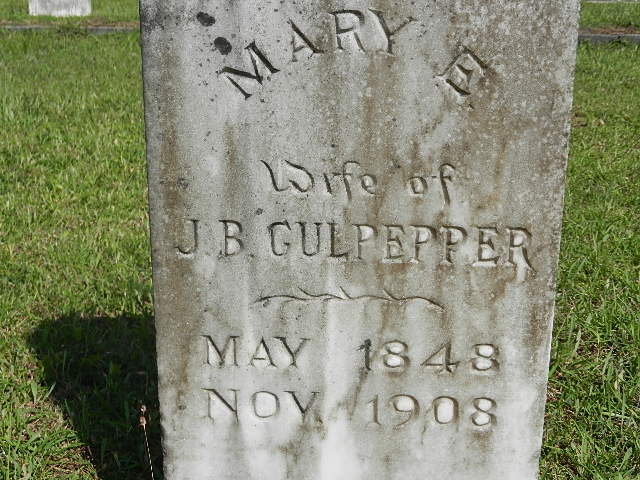 The records on file name him as James B Culpepper. He and Mollie are laid to rest at Zion Cemetery in Kemper County, Mississippi.